Mike is good at playing with two things—numbers and his guitar. People, not so much. So when he stumbles upon two women having fun in the shadows at an underground club, and a bouncer urges him to get one to safety, he’s not sure how to respond. But, when he discovers she’s been bitten and her neck is bleeding, something wakes inside of him. He’s compelled to protect her. When Allana runs into Mike, the humiliation burns. It might have only been a fling last summer, but she didn’t expect him not to recognize her. Well, she had enough going on in with her yoga studio to deal with guy drama. But, he insists she leaves Vamps with him. 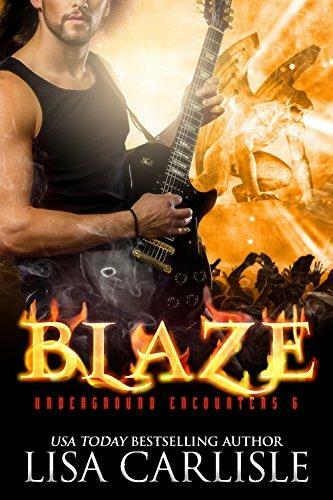 Blaze is a novel in the Underground Encounters series, set in a club that attracts supernatural creatures. Each book features a different couple—and perhaps different species!—and can be read on its own. Scroll up and preorder your copy today at a special discounted price!